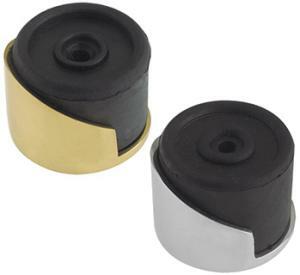 Solid brass round door stop with rubber end to prevent damage to door. Size 37mm diameter x 30mm height. Available in Polished Brass, Antique Brass, Satin Brass, Polished Chrome & Satin Chrome.